After ending its West Coast Conference championship run early with a loss to BYU, the USD men’s basketball team will host Hartford in the CollegeInsider.com Postseason Tournament on Monday. 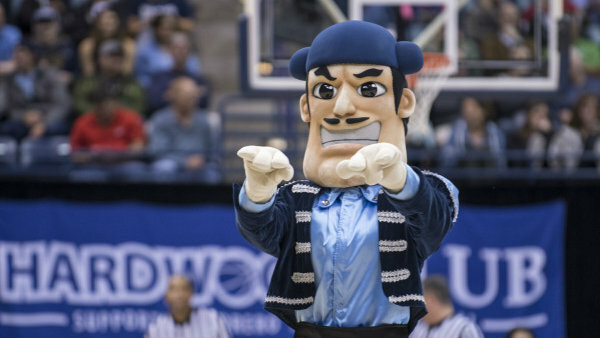 The Toreros enter the game with an 18-13 record. USD finished the regular season in fifth place in the WCC after defeating the San Francisco Dons. After that game, Toreros coach Lamont Smith was arrested for alleged domestic violence, which led to his suspension and eventual resignation. Assistant coach Sam Scholl was appointed as interim head coach for the entire postseason. USD is in the midst of a national search to replace Smith. Hartford finished the regular season third in the America East Conference. The Hawks lost to UMBC in the semifinals of the America East Tournament. This is the second appearance for the Toreros in the CIT. In the 2014-15 season, USD advanced to the third round under coach Bill Grier. Tip-off is at 7 p.m. at the Jenny Craig Pavillion. The game will be televised by CBS Sports Network. The CIT is a postseason single-elimination tournament for mid-major conferences teams who were not invited tot he NCAA Tournament or the National Invitation Tournament. The CIT uses the old NIT model where there is no set bracket. All games are played at on-campus sites.